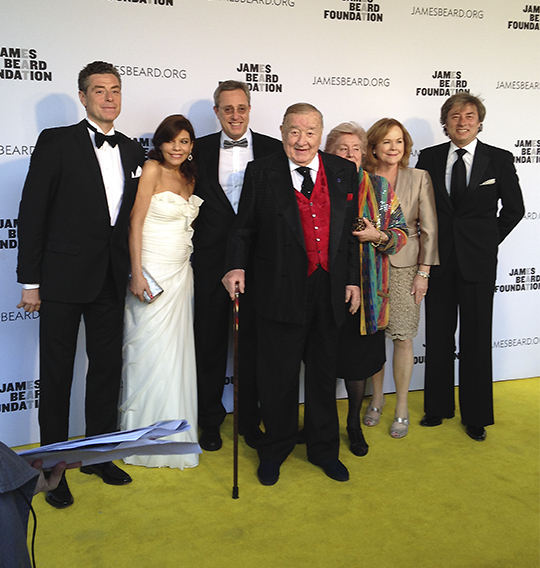 James Beard Awards - A Fun Time Was Had! Sherry Yard and me in NYC. Chefs Rick Bayless and Elizabeth Falkner at Chefs Night Out in NYC. Charles Phan and Sherry at Chefs Night Out. Sherry Yard and husband Edward share a secret on the yellow (red) carpet! Lifetime Achievement Award for Sirio Maccioni. Mario Batali dancing for the press in his signature orange crocs. The Mario Batali Foundation (MBF) and Books for Kids (BFK) have announced the opening of another Books For Kids library this fall in the Las Vegas, Nevada area. Amanda Hirsh, Executive Director of Books for Kids. "Like the other Mario Batali Foundation libraries, this new library with Books for Kids will give underserved youth access to books and greater literacy resources, to help prepare them for school and for life. We are honored to continue this partnership with MBF as we further both of our missions to eradicate illiteracy in this country."